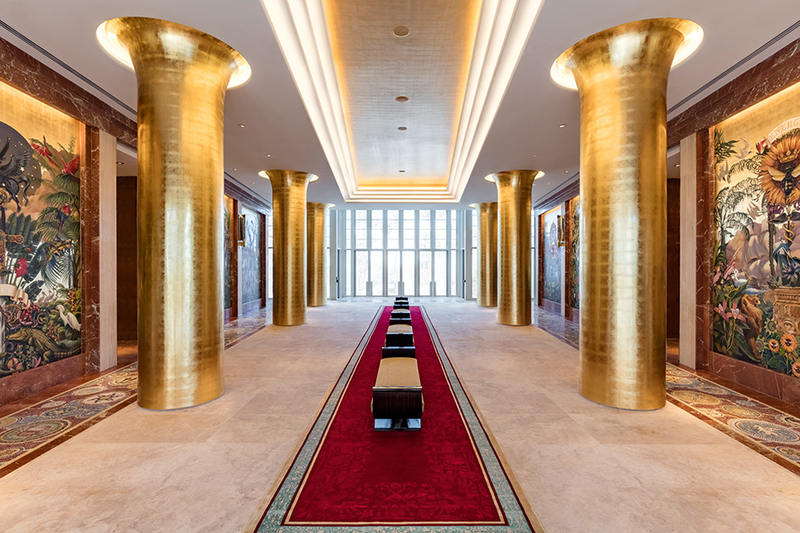 There’s a fairytale like feeling you get when you first enter Faena Miami Beach hotel’s “cathedral” hallway with its eight, 30-foot long red carpet and brilliantly colored floor to ceiling murals. The elaborate “The Way to Futopia” artwork depicts significant moments of knowledge, love, war, passion and nature by Argentine painter Juan Gatti, and it sets the stage for an experience that’s part fantasy and every bit luxury. 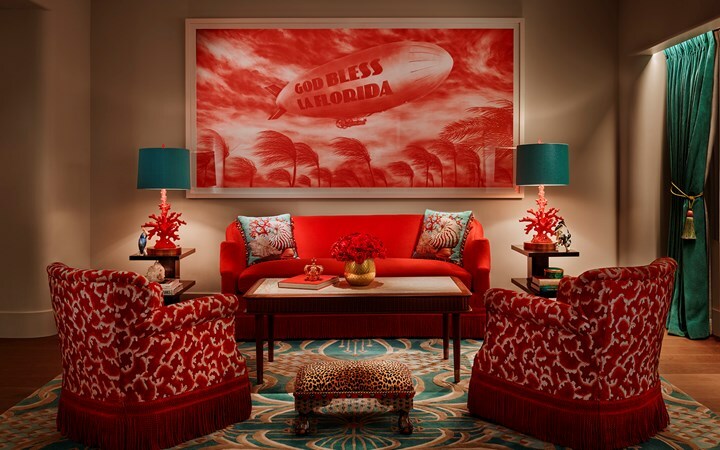 The plush red velvet fabrics, animal print patterns and whimsical decor designed by filmmaker Baz Lurhman and his wife Catherine will set your heart racing and as you turn each corner, and it leaves you curious for more. 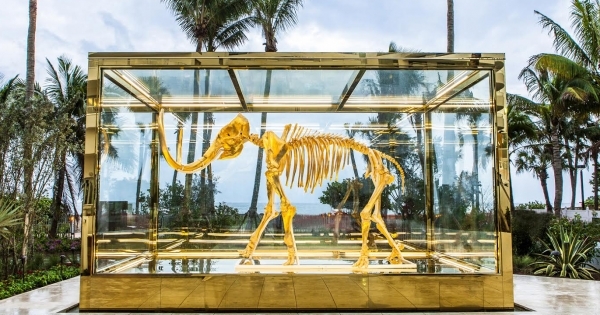 The jaw-dropping “Gone but Not Forgotten” life-sized Mammoth skeleton by Damien Hirst is even more impressive in person, and it feels like you’ve been cast into an imaginative world of art and storytelling. 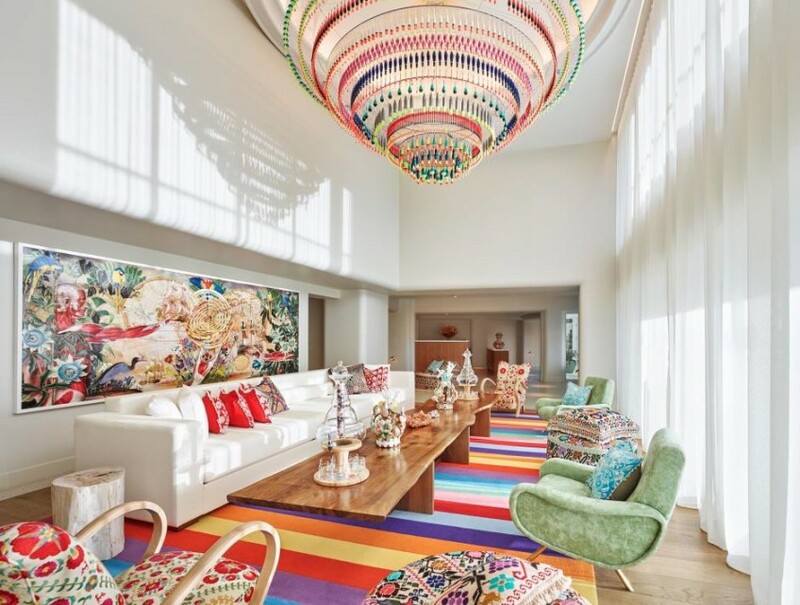 The story of Faena is a much more elaborate one, but the concept of it all was the genius of Argentinian entrepreneur and mastermind, Alan Faena who collaborated with architects, designers and artists to create the vibrant six block Faena District Miami Beach. This 169 room 12-story hotel, central to the Faena District Miami Beach, is all part of an ambitious $1 billion project that also includes The Faena Hotel Residences, a charming hacienda style 50-room boutique hotel called Casa Faena (formerly Casa Claridge’s) and the Faena Bazaar which was inspired by the spice markets and night markets from abroad — soon to be a retail location. The hotel is the former location of the 1948 Saxony Hotel. It’s the perfect weekend getaway with its gorgeous beachfront location, award-winning restaurants and nightly entertainment. Nowhere else in Miami Beach can you step back into time for a glamorous evening in the gilded Faena Theater for a night of cabaret at C’est Rouge. Magical evenings make way for perfect days spent in pampered bliss at The Tierra Santa Healing House, the hotels 22,000 square foot spa that makes you feel like you’ve been transported into a healing haven somewhere in Argentina. The spa offers holistic therapies and has one of the largest Hamman’s on the east coast. Los Fuegos by Argentinian grillmaster Francis Mallman may very well be one of the best dinners of my life. The lightly breaded Argentine Beef Tenderloin “Milanesa” from the open-fire kitchen cut like butter and with every morsel, I found myself plotting when I would return. 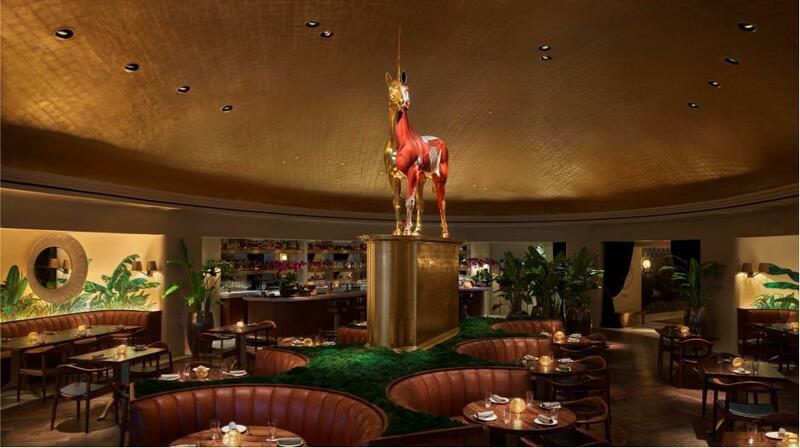 Paul Qi’s modern Asian restaurant, Pao, is worthy of the hype where you can slink into old-Hollywood style banquettes complete with a view of Damien Hirst Golden Horse sculpture taking central stage in the dining room. 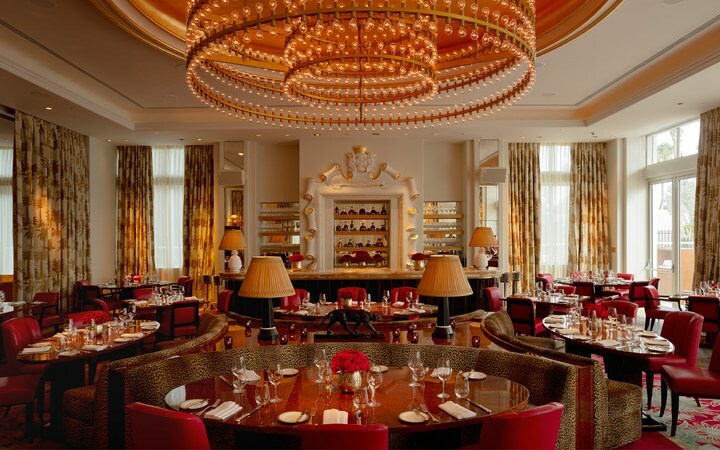 Faena Miami Beach seduces you like a lover, pulling you in with its charm, looks and charisma. It grabs you tight and leaves you wanting more.